What is the link between homelessness and the risk of developing (and dying from) opioid use disorder? What are the role of genetics in the development and maintenance of substance use disorder? Like most aspects of human behavior, the development of substance use disorders (SUDs) involves a complex interaction between nature (genetics) and nurture (e.g., family and school environments, peers). It is difficult to disentangle the unique of effects of both nature- and nurture-related aspects in the development of SUD. Because families share genes as well as environments, investigators have difficulty knowing which outcomes are a result of which causes. For example, if a man has an alcohol use disorder and his son subsequently develops the same, is that because the son was genetically predisposed to crave and respond to alcohol in this way, or because he watched his father drink alcohol during his childhood and he then mirrored that behavior himself? Substance use in general is a particularly distal outcome. However, genetic studies targeting more proximal behavioral outcomes have identified specific genetic markers (e.g., DRD4, DRD2, 5HTTPLPR), which influence neurochemicals in the brain (dopamine and serotonin) and influence individuals’ levels of novelty/sensation-seeking or behavioral disinhibition (both of which are associated with increased likelihood of substance use). However, not all people who try a substance develop an SUD, making it hard to make direct connections between specific genetic patterns and substance use disorders/addiction. Other studies, rather than trying to predict behavioral outcomes from a specific gene, employ methods such as twin studies (following identical twins reared in different families) to identify the extent to which SUDs can be attributed to genetic influences. Estimates from these types of studies suggest that about 40%-60% of the variation in SUD can be attributed to genetic heritability. 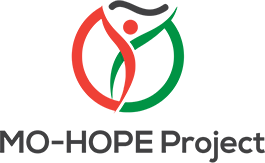 How can I learn more about getting involved with MO-HOPE? To schedule a training or get more information, please request a training and a MO-HOPE staff member will get in touch with you within 1 business day. We also try to raise awareness and knowledge surrounding the overdose crisis, including effective strategies for curbing the trend. Naloxone is a safe and effective medication that quickly reverses the effects of an opioid overdose, usually within 2-5 minutes. It can be administered by injection or nasal spray. Anyone at risk of witnessing or experiencing an overdose should have naloxone on hand – especially people who use drugs, their family members, and associates. Think of it like a fire extinguisher. We have them on hand, but hope that we never have to use them. From 1996 – June 2014, naloxone administrated by community members has saved more than 26,000 lives (CDC, 2015). 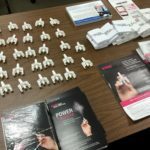 To learn how and where to get naloxone, click here. What happens during an opioid overdose and how can naloxone reverse it? Opioids slow down the central nervous system, which slows down breathing and heart rate. An opioid overdose occurs when the brain can no longer regulate breathing, causing respiratory depression (not breathing enough) until breathing stops completely. Opioids, such as heroin, prescription opioids or fentanyl, bind to opioid receptors in the brain. Naloxone binds to the same receptors but are a “better fit,” so they essentially “kick” the opioids off and block the opioid receptors for about an hour. What are the risks associated with naloxone use? Minimal risks are associated with naloxone. Naloxone cannot get you “high” and is not addictive. Someone who is physically dependent on opioids may experience some withdrawal symptoms (such as nausea, vomiting, sweating, aches, or irritability). How long does naloxone last? *Missouri has recently enacted a 911 Good Samaritan Law that offers protection to those who call 911 during an overdose. Click here for more information. What if naloxone is given to someone who is not overdosing on opioids? Will naloxone work for alcohol, cocaine, meth or other types of overdoses? Naloxone only blocks the opioid receptors so it will not have an effect, positive or negative, on anything other than an opioid overdose. If you mistakenly give naloxone to someone who is not overdosing on opioids, you will not help or harm them. No, you cannot overdose on naloxone. If a person experiencing an opioid overdose does not respond to the first dose of naloxone in 2-3 minutes, it is safe to administer additional doses. What types of naloxone are available? A naloxone injection directly into the muscle of the upper thigh or upper arm. A ready-to-use, automatic injection device, which gives electronic voice-guided, step-by-step instructions. Note, this version is typically very expensive (around $4000) and may not be covered by some insurances. A preassembled, ready-to-use device. After the nasal spray nozzle is gently inserted into the person’s nostril, firmly press the plunger to spray one entire dose into one nostril. The naloxone is absorbed into the bloodstream so there is no need for the person to inhale it for the medication to work. A pre-filled cartridge of naloxone and a nasal atomizer that requires assembly. Note, this device is not FDA approved. Naloxone can also be administered intravenously (through an IV) by medical professionals. Naloxone, Narcan, Naltrexone, Suboxone… What’s the difference? Naloxone is the generic name for the opioid overdose reversal (“antidote”) medication. How should we safely store the Narcan and how long does it last? Keep Narcan out of extreme temperatures and direct sunlight. Don’t leave it in your vehicle during hot summers and cold winters. Narcan shelf life is 24 months, but studies have found it lasts much longer if stored appropriately. 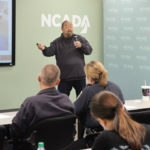 Will offering people naloxone encourage opioid misuse? Does naloxone offer a “safety net” that will result in increased opioid use? This is a common concern surrounding naloxone distribution. However, a number of studies have found that this is not the case (for example, Doe-Simkins et al. 2014, Galea et al., 2006). Most users do not increase their opioid use after receiving naloxone. Fentanyl is a powerful synthetic (manufactured) opioid prescribed by physicians to treat patients with severe pain, such as post-surgical or cancer pain. Legally prescribed fentanyl generally comes in the form of a patch, nasal spray, lozenge, injection, tablets or films. However, illegally manufactured fentanyl can be found in a powdered form and is frequently used to “cut” heroin or in counterfeit prescription pills (including fake opioids and benzodiazepines). Fentanyl is 50-100 times more potent than morphine and is often added to drugs without the user’s knowledge. This places users at a higher risk for overdose since a dose that appears safe may actually be lethal. Most users try to actively avoid fentanyl but are often unable to detect its presence. How do I respond to a fentanyl overdose? Fentanyl overdoses are often indistinguishable from overdoses caused by any other opioids and should be responded to similarly beginning with administering naloxone, calling 911, and starting rescue breaths (see above). Law Enforcement and Public Safety departments across Missouri received an email from the Missouri Department of Public Safety regarding the MO-HOPE opioid overdose reporting system (field reports). Many of the departments have expressed similar questions and concerns, which are addressed here.